Heading out for a long run? Not sure about the weather, or your ability to navigate and get home before dark? When you need to bring a few extra pieces of kit with you, or if you're going fast and light, the Duro 6 accommodates just enough fuel and gear to get you there and back, no matter how far "there" may be. 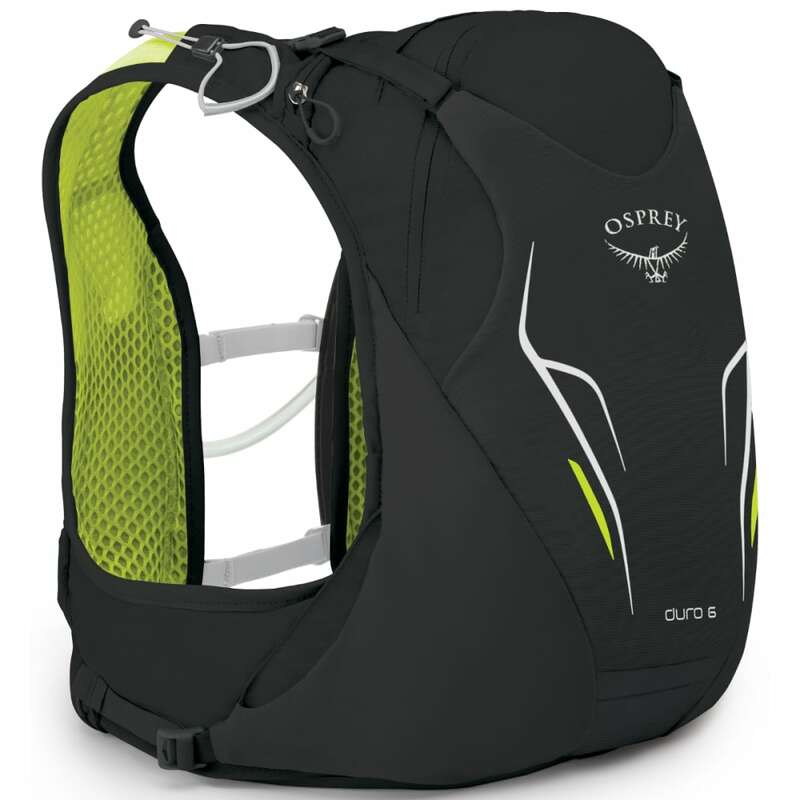 With ample room for long runs requiring extra layers or gear, thoughtful and accessible storage for fuel and other small items, trekking pole storage, a Hydraulics™ LT 1.5L Reservoir, soft flask compatibility, and bounce-free carry, this pack will please beginning runners and experts alike. 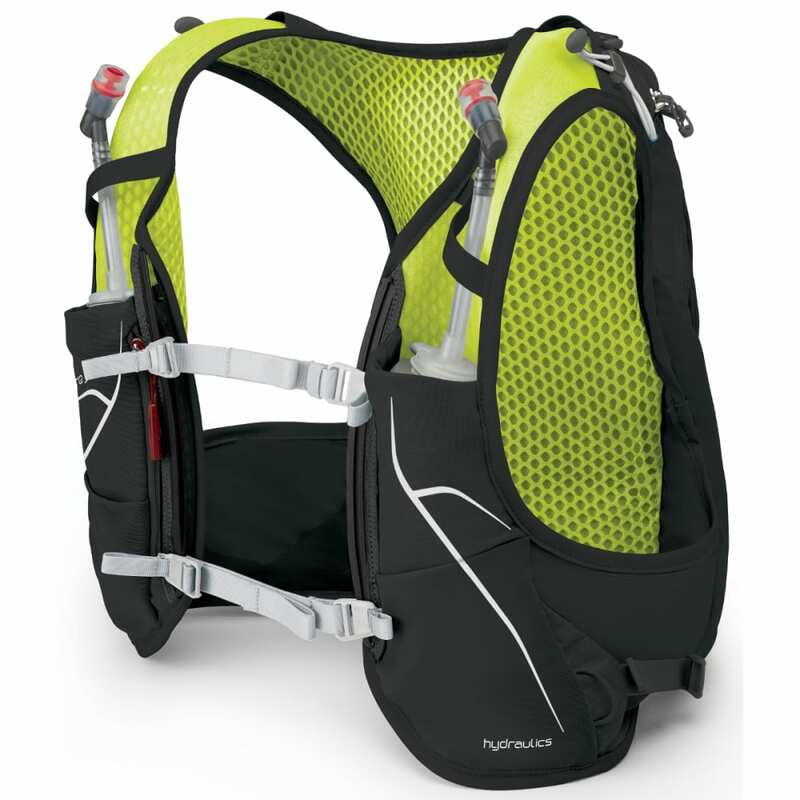 Built For Speed: Vest-pack fit provides bounce-free stability and purpose-built for incredible comfort, so you can focus on FKTs and PRs. Hydration Included: Bottles, reservoirs and add-on flexibility for short runs, long runs, and everything in between. You decide what you need. Duro/Dyna makes it possible. Easy Gear Access: Pockets up front for quick access to fuel and soft-flasks, trekking pole storage when you need to use your hands as much as your feet to move forward, and room for rain gear and extra layers. Dimensions: S/M: 14.17H X 7.87W X 5.12D IN. ; M/L: 16.14H X 7.87W X 5.12D IN. Weight: S/M: 1.113 lbs. ; M/L: 1.19 lbs.